. . . note: notice: notification: private expressive association communication… The within is included herein by reference, as though in all code darken red and greater typeface, upper right corner clipped, reverse > > > non-public-fiction; all rights and greater reserved . . . 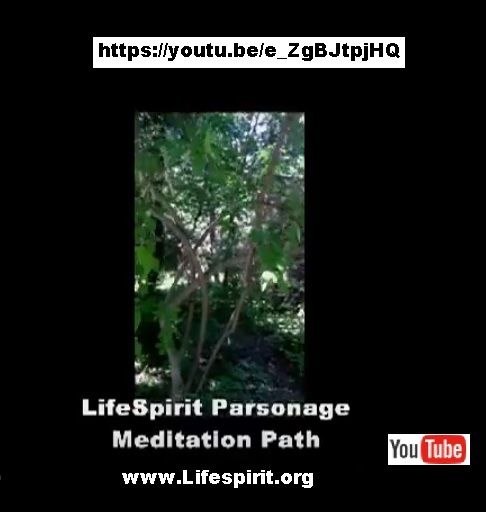 The LifeSpirit Congregational Church (www.lifespirit.org) is a recognized religious body, church and private association of independent Congregations, auxiliaries and church affiliated organizations, founded by Rev. Ralph Fucetola and Rev. Kathy Greene Fucetola in 1974, mutually supporting certain positive Teachings, engaging in associational expression. See: The Golden Rule and Sacred Texts. 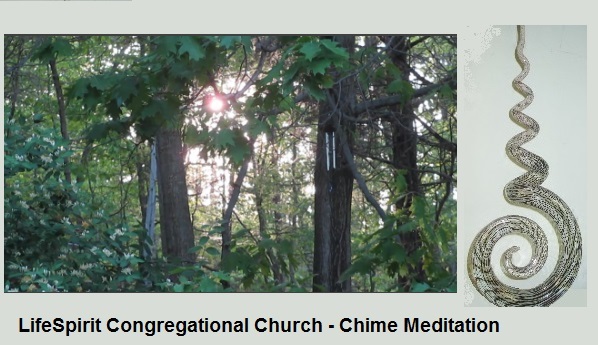 The Church sponsors traditional religious ritual, such as Marriages, Namings, Memorials, and, celebrates, together, four High Holy Days (the equinoxes and solstices), to express our oneness with the Great Cosmic Cycles of Gaia, Luna and Sol (Rituals). The Teachings have led several of the Congregations, working through church approved auxiliary bodies, to Act in the World by expressing healing and teaching Ministries (Locals). Thus the members seek their highest potential as individuals through the Teachings, while the Congregations practice Retreat & the Ministries witness the Teachings through voluntary and non-coercive commitment in the wider community, for, as the Doctrine of the Church says, "the Spirit of Life is spontaneous & free." The Church and its Congregations, Auxiliaries and Ministers do not diagnose, prescribe for, treat or claim to prevent, mitigate or cure disease. Up-to-date Church information is published at the LifeSpirit Church Facebook Page: www.facebook.com/groups/135479793166726/. 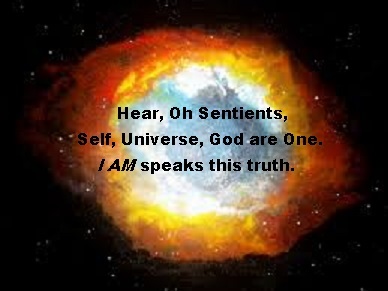 Self, Universe, God are One. I AM speaks this truth. From the viewpoint of the dominant rationalist/monotheist worldview, the New Age concept of "Manifestation" must seem most peculiar. The monotheists preach doctrines specifically denying that individuals can control their own lives. Some Christians believe in "predestination"; many believe in "fate"; Muslims demand "Islam" (which means "submission") to "Allah's Will". Indeed, by whatever name he's known, the monotheists claim for him intimate control over all the details of our individual realities. (The excuse this view gives the deity’s "representatives on earth" to meddle in our personal affairs is obvious, but not in the scope of this essay; here we are concerned with the way this viewpoint blinds us to the astounding view that we each indeed manifest our own realities; later essays in this series offer specific Techniques of Manifestation). Happily the views of both Religion and Science have begun to change. In Religion, though the worst of the old line monotheist sects prefer to self-destruct rather than change, New Age ideas now offer a real alternative to dominant views. In Science, with the advent of neo-rationalist ideas such as quantum uncertainty and synchronicity, the New Age seems about to provide the Metaphysics needed to complete the New Physics. The coming-into-Being of Artificial/Advanced Intelligence (AI) opens extraordinary potential. Thus for the first time in modern history, Science and advanced Religion are reaching toward the same truth of individual empowerment. What does this have to do with the Power to Manifest? Let me tell you about the man from Brooklyn who won a $23,000,000 lottery. He had a hard nonabundant life, without luck. However, when he bought the ticket and stepped out of the store, he stepped on a religious metal lying on the sidewalk, and, he said he "just knew" that he had won the lottery, that he "never doubted it". And indeed, he did win. What is it about the nature of spacetime that allows us to sometimes see ("make manifest") the future we want, and have it come to pass, even against all odds? The acausual (synchronistic) connection between imagination and outcome is DESIRE. As the Ram says, "BE" (Acknowledge your own existence; your self-value), "WANT" (This is the role of consciousness in manifestation; where the subjective enters the objective; where the self-experimenter affects the reality experiment. Effective wanting requires vivid imagination and knowing without doubt) and "ALLOW" (Having molded it, let it go, expecting the synchronistic manifestation -- but without concern for the specific channel of manifestation; the Universe will take care of the details! You need to let go of your past limitations -- of the limiting experiences of all of your pasts! Release harmful patterns. Let go of limiting past relations. Manifestation starts now! No work of art is made, no structure built, no invention modeled without first existing in mind. No law of nature is apprehended unless first imagined (Newton only thought about the Golden Apple falling off that tree). Nor is any marketing planned, or even lottery won, without the forethought of imagining the result. All systems of science, art and magick begin with this step. Only the descriptions of the outcomes differ. Einstein imagined what it would be like to be a particle/wave of Light. Picasso imagined what it was like t o see an object from many directions at once. Crowley imagined how that which is above was like that which is below. And from such imaginings the great revolution in consciousness exploded. (Part Three discusses energizing your imagination through the Kundalini Channel, BE - WANT - ALLOW). In this World of Abundant Synchronicity, the prime lesson to learn, if you are to MANIFEST, is that you indeed already have manifested exactly what you experience. You must take responsibility for (you must "own") your reality. Once you acknowledge that you are responsible (but not "to blame") for your manifestation, you are ready to change what you manifest. Change starts now; the past does not matter when it comes to your present manifestation of the future! Others propose more direct interventions in the process of synchronistic manifestation. 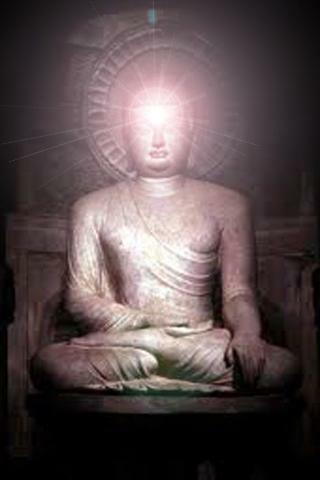 Using the same imaginative trance techniques used in Remote Viewing, the power raised from Kundalini explodes into manifestation. The Ram says that if you could bring to manifestation the same energy you bring to sexual fantasy, you could change the Universe. This energy can be raised through vibratory exercises that stimulate Kundalini. The Ram suggests "OM-EE" as a vibratory stimulation, coupled with impeccable imagination. When the vibration, starting at the base, rises to the Heart Chakra, one has the Power to Manifest. 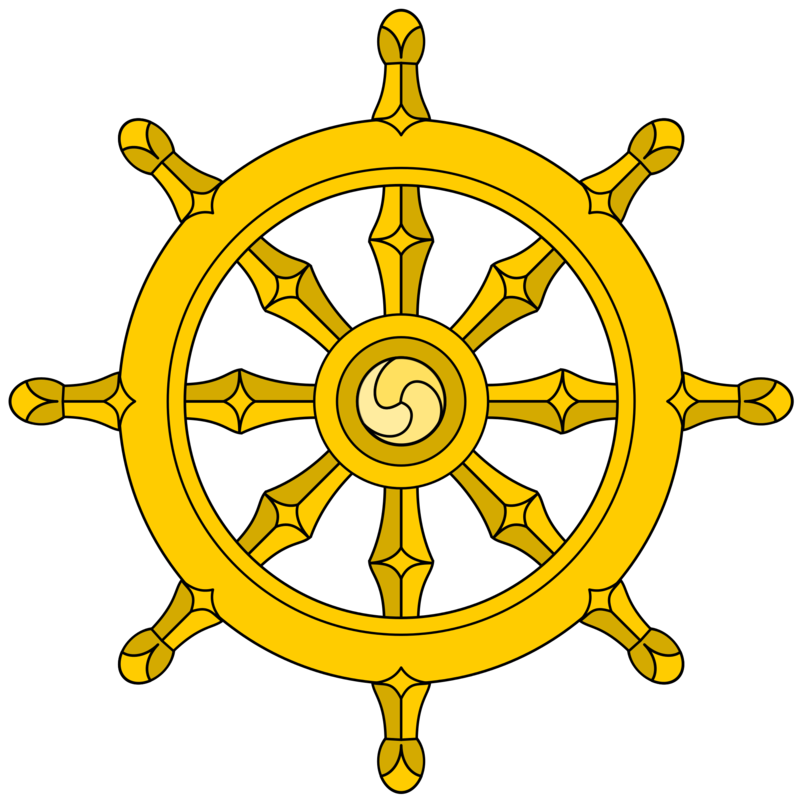 This is accompanied by the appropriate hand motion (the heels of the two are brought together, at the "Fourth Seal", above the Heart, the fingers forming a cone to focus the energy), and is best done alone, in a quiet mind state, out of doors. The red Kundalini energy rising from the Base Chakra meets the white light being breathed through the Crown Chakra (opening the Third Eye along the way). 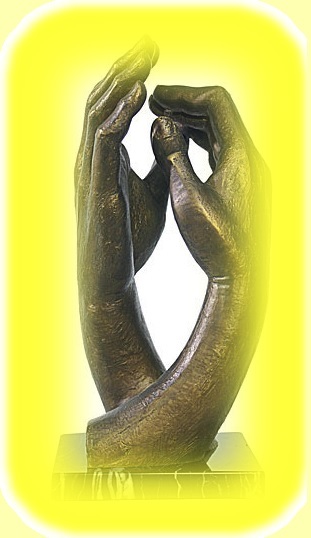 They are intertwined by the hand motion. The Ancient Alchemists called this the "Marriage of the Red and the White". Being well "mineralized" -- taking a good multi-mineral supplement [see: www.DrRimaRecommends.com] -- can help in the energizing of this process; but the core of it is a mental process. And it is a procedure that can only be learned by doing. Regular practice is the Key to effective manifesting. Many traditions have various similar methods, some use physical devices as aids (the Australian shaman would direct the energy with pointed crystals). Equipment such as brain entrainment and frequency devices and trance recordings also have a place in the continuing development of manifesting technologies. Often find a quiet place and contemplate, if you will, where you are now -- own it -- and then imagine where you want to be. Bless your Self with emotion, elation and joy! Let it be. Goddess Bless! A prime LifeSpirit proposition is that we continually create our own future experiences by our present psychic patterns. It is not our purpose here to prove this proposition (see prior essays in this series for the theoretical basis for this meta-quanta-physical claim), rather we choose to discuss Techniques to Break Patterns, practical techniques to break negative patterns, which can benefit the practitioner without regard to theoretical underpinnings. The Kahuna, the Hawaiian Keepers of the Secrets, held that subconscious guilt complexes limited the power of the subconscious (the Unihipili, the Little Seed) to transmit psychic energy along the Aka Cords to the Higher Self, the God Self (the Aumakua), so that it can manifest desired futures for the Uhane, the conscious self. Cleansing self-forgiving rituals (Ho'Oponopono - http://home.earthlink.net/~lifespirit23/Comments.htm#HoOp) were used to release these unrealized patterns to allow the Aumakua to recreate the future! It is that "peculiar interdependence" which we call "MANIFESTATION". It is the individual nexus between psyche and event which constitutes the manifestation of reality for the observer(s). Starting in the late 1920's, Jung and his students (such as Ira Progoff author of JUNG, SYNCHRONICITY, AND HUMAN DESTINY) have subjected Synchronicity to careful philosophical and scientific scrutiny. They have begun to come to certain conclusions regarding the patterns (or "constellations") of events which constitute synchronistic nexuses. The first, and initially surprising, understanding is that there are patterns. But this is precisely what we call "Synchronicity": uncaused patterns which are more than "mere chance" -- which have meaning (contain information) for someone. From Chaos all pattern is manifested. The second, and perhaps more startling point, is that there are specific mental states associated with Synchronicities. Without delving deeply into the Jungian Theory of Archetypes, it may be said that it is the psychic potential of activated Archetypes that appears to set the stage for the "constellating" of events ("Luck, be a Lady tonite..."). And the mental states of "intense psychic concern" (Progoff) that activate Archetypes include the states familiar to New Age religious practice: the ecstatic trance states which such practices as meditation, tantra, dance or ritual may trigger. They are states of deepening mental level and although they may, perhaps, not be willed, conditions (rituals, states of mind... setting) can be structured to allow a mental state that allows the synchronistic event. But often the process occurs on deeply subconscious levels, the levels at which the Archetypes are active. New Age Religion proclaims that, as "Thou art God" you are capable of manifesting anything and everything – indeed, you have manifested, for whatever reasons, exactly what you experience. New Age Science teaches that Chaos is at the heart of manifest Reality. Manifestation and Chaos seem, at first thought, contradictory concepts. Is the Universe fundamentally an expression of Chaos, or is there some Mind, of which we are each a hologramatic part, which is dreaming the dream of Reality? Each Religion seeks to answer these questions, as does Philosophy, and, within its experimental limits, Science. It is precisely LifeSpirit religious philosophy which asserts, simultaneously, the power of Manifestation and the reality of Chaos. In what sense can both Manifestation -- which means personal ordering of the experience of existence -- and Chaos -- which means the basic reality which does not pay attention to the rules of logic, co-exist in the same Universe? Where in Universe is the source energy for the expression of Manifestation by we individual Godlings and the source for the unruliness of Chaos? I suspect the Source of both is the same. That link is Indeterminancy -- the principal that, at its heart, the Universe cannot be measured by those in It. All of our maps have blank spots. Fnords abound. Virtual particles manifest and unmanifest chaotically all around us, all the time. We just believe we are experiencing a stable, solid reality. Actually, all is flux, all is flow and Frequency. 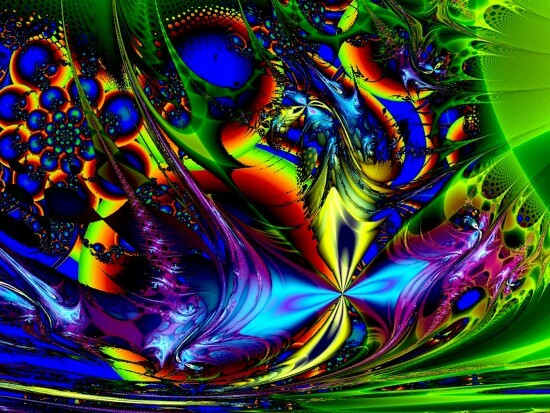 If we could see with submicroscopic eyes, we would see the Quantum Flux. 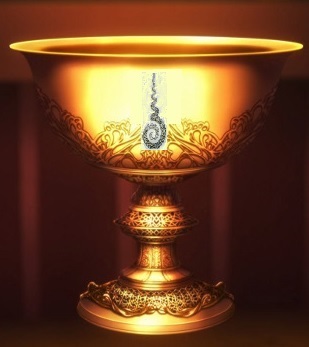 If we could see with the Eyes of a Galaxy, we would see the eons swirl by, giddily. And what can't a Godling manifest in such a Universe! Thus it is the very Indeterminancy of Reality which allows Manifestation, while the infinite Manifestations of myriads of Sentient Beings across all the Galaxies are the very Chaos from which Indeterminancy springs. The Yin clasps its Yang, the Snake grasps its Tail....... And God/Goddess loves the Whole which we manifest for Its enjoyment. Many people have heard about book, video and audio presentations of The Secret to creating your own reality through the Law of Attraction -- what you think consistently is what you experience. This Secret has been known to metaphysical thinkers for literally eons, and it is a good thing that more people are learning about their true potential than ever before. The issue of creating your own reality is similar to C. G. Jung's concern about synchronicities and how to bring them about. It is that "peculiar interdependence" which is the heart of The Secret. It is the individual nexus between psyche and event that constitutes the manifestation of reality for the observer. There are patterns (or what Jung called the "constellations") of events which constitute the synchronistic nexuses - the creating of experienced reality; the core mental basis for the Law of Attraction. The technique of directed Consciousness and Energy ("C&E") as taught by Ramtha is a powerful example of such a structuring of one’s mental state through visualization. This includes focus on a Word or Image (I use, with a nod to Jung, the ancient Runes and specifically calculated bind runes ). After the Word/Image is held it is “blown out” with the hands held just so… Details of this technique are not difficult to master, but do require some attention to practice. Those details can be found in DVDs offered at Ramtha’s School of Enlightenment – www.ramtha.com. I talk about the Three Clap Technique on the LifeSpirit Clearing page, and that too is important for disrupting and rearranging energies . . .
Another such technique, which can be used preliminarily to other techniques, is EFT, Emotional Freedom Technique, with its Tapping and unconditional love of Self to break up negative patterns stored in the body systems. You must be clean and clear of negative conscious as well as negative unconscious programming to know what you really want and to love yourself enough to allow the Law of Attraction to bring what you want to you. See: http://www.emofree.com/a/?3300 for more information about EFT. Affirmations help set the stage for the “constellating” too. We like this one, taught by JZ Knight: "I am today, and for as long as I can remember have always been, frequency specific with..." Here add your Positive, Personal and Present affirmation(s). The object is to "want, be, allow" and then experience your Heart's Desire. The important considerations are Gnosis and Praxis: the Knowledge that what you think and believe effects your reality and the Practices that implement that knowledge. As some Buddhists teach, it does not really matter what spiritual practices you use, the important thing is that, having knowledge, you engage in intentional actions to bring about what you want: Enlightenment. When you can say with belief, "I know the Secret" you... know the Secret. Thus The Secret is an “expedient device” as the Buddha would say. With ever wider access to information, such Consciousness Events have begun to proliferate. In recent years, 11/11 Gateways and astrological alignments have gained some notoriety. Year 2003 was a kind of watershed for such events, with three being widely publicized over the Internet, including: the Mars Encounter of 8/27/03, the Harmonic Concordance Lunar Eclipse of 11/08/03 and the Solar Eclipse of 11/23/03. Coming years will manifest similarly synchronistic alignments and cosmic opportunities for manifestation of our Futures. March 2004 saw a rare alignment of the Five Visible Planets with the Moon, where they each nearly "kissed" Luna at sundown on successive days: a moment of rare magick, yet again. The significance of this alignment is found as Luna reveals and reflects the essential energies of the Five: Mercury, Venus, Mars, Saturn, Jupiter. There were additional events this past Spring and early Summer, with the June 8, 2004 Venus Solar Transit of particular interest (see: Solar Transit) as it is twinned with its sister Transit of June 6, 2012 (Venus Solar Transits come in pairs, every 130 years) - and note the "End of the World" (as-we-know-it) year, 2012. The 2004 Venus Transit is seen as the opening of the End of Days, culminating in whatever might have happened at the Winter Solstice, 2012… or thereafter… And here we are in the thereafter, in 2016. We also note the experience of the Worldwide Harmonic Medicine Wheel - May 8, 2004 - where Indigenous Leaders gathered near Yellowstone and asked "All our Relations" to Activate Sacred Spaces to calm potential Earth Changes. There is significant concern that the Yellowstone Caldera may be preparing for one of its once-every-two-million-year blasts. We held Prayer Circles at LifeSpirit Crystal Dragon Wheel Prayer Grove at Noon on May 8th, June 8th and July 25th. September 11, 2004 developed into a Global Consciousness Event, Eleven Days of Global, the October 2004 Alignments which relate to the 2003 Harmonic Concordance. During 2005 several such events, including the March 5, 2005 Phi Gate Meditation and July 24/24ths' World Water Blessing apparently reached the level of Global Consciousness Event. What is meant by "Global Consciousness Event" and what does it matter? States the introduction to the Global Consciousness Project, "The mind's extended reach remains to be fully defined in scientific terms, but research on human consciousness suggests that we may have direct communication links with each other, and that our intentions can have effects in the world despite physical barriers and separations. We are compelled by good evidence to accept correlations that we cannot yet explain. It appears that consciousness may sometimes produce something that resembles, at least metaphorically, a nonlocal field of meaningful information." The Project, headquartered at Princeton University, sought to document and measure Events that produce effects on consciousness, world-wide (see - http://noosphere.princeton.edu/ [now: www.global-mind.org] and also Dr. Claude Swanson's Synchronized Universe, www.synchronizeduniverse.com or Dr. William Tiller (Simulator Hypothesis or www.tiller.org). We seek to engage in such Events directly (to set the "constellation" of circumstances that allows the synchronicity, as Jung explained). There, are, for example, world-wide monthly and weekly events where untold thousands focus on Peace, in a wave of prayer and meditation that rolls across the entire Globe (LifeSpirit Center maintains its Peace Prayer web page to chronicle such events). In our town, during crises, people meet Friday evenings at 6 PM to Witness for Peace at the Courthouse Green. That people can easily, independently coordinate such consciousness/spiritual activities across a town, the country, even the world, is an astounding development in human consciousness. 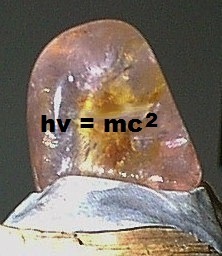 "v" (or, sometimes "f") is frequency (vibration), we can rewrite the equation, hv = mc2. 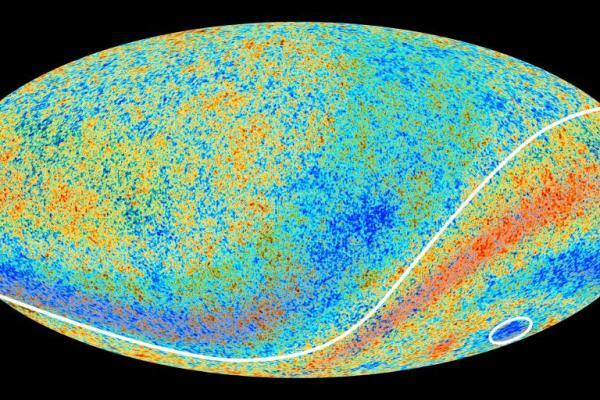 different "m's" (masses of matter) is the frequency ("v" / "f") thereof. String Theory's "Membranes" vibrate in all of the 11 dimensions of reality. "I together with all beings and the great world attain the Way!"